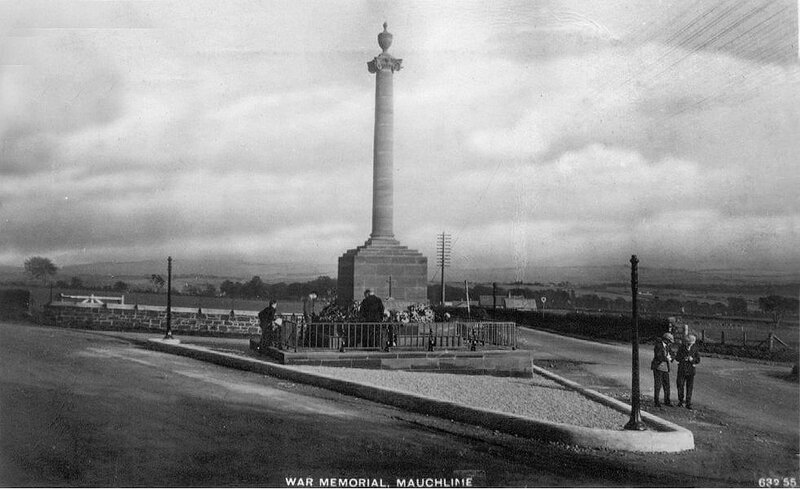 Beginning this on line tour of Mauchline, the war memorial is seen at the Catrine Roadend. The road on the right is where the Cumnock Road meets The Haugh Road. The telephone cables are 10 layers tall on the telegraph poles. The card above was postally used, and franked 1928. This is postcard ref number 632/55. At first glance, it looks the same as reference number 632/57, which is given below. The mark on the bottom image that looks like a railway signal is only a mark on the card!! As an little addition to this story, I noticed a copy of the postcard below was being sold on ebay in 2008. I lost the bidding, so e mailed the seller asking for a decent scan. He wouldn't assist. I e mailed the buyer, whose idea of a high res scan was somewhat different from mine, so I gave up. In August 2009, whilst browsing through the extensive archives of ayrshirehistory.com, I came across Pat's folder, and yes, I had a copy of the touched up version all the time anyway!!! 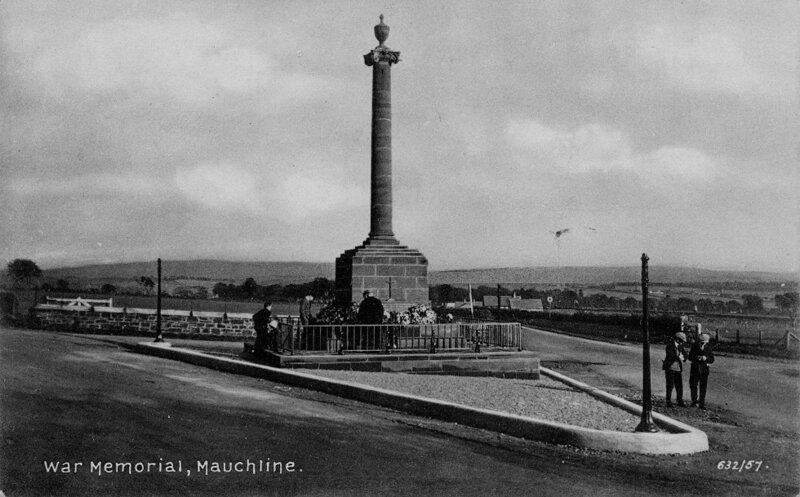 The reason ayrshirehistory.com was started all those years ago, was to simply preserve photographs. The attitude of the seller is exactly how local history gets lost forever!! I am amazed by some of the postcard collectors who hoard their collections to themselves and do not allow any scans to be made. I often wonder if they even care about the views in the first place, or just wish to own a collectable card. Let's compare to stamp collecting for a moment. A collector who owns a valuable stamp owns just that. Someone who has taken a photo of the said stamp for historical records owns a worthless copy. The same goes for postcards. Yet the copied view may be priceless to historians, and the only image available of a certain long lost landmark! !